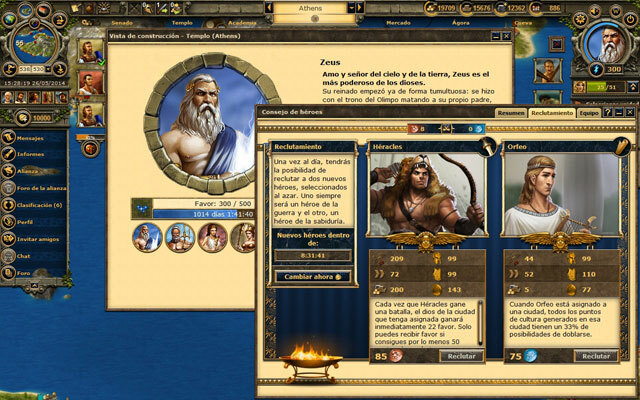 In the strategy browser game Grepolis you enter the mythical world of Ancient Greece. 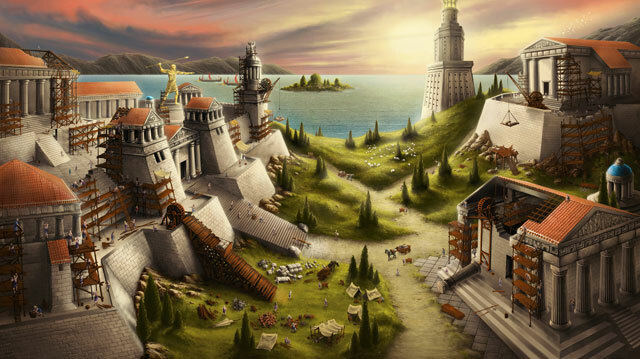 Gain the favor of the gods and develop your city into a mighty metropolis with their help! With the support of Helen, the daughter of Zeus, you found your first “polis” (Greek for „city“) on one of the numerous islands in the Aegean Sea. Using various raw materials, you then start to expand your city and research different technologies in the academy, for example to reduce the construction time of buildings. In addition to producing your own resources in your city, you can also regularly gather resources as a tribute from the surrounding farming villages which you have subdued. Choose one of the Greek gods, such as Zeus, Poseidon, Hera, Athena or Hades, as a protective deity for your city. Worship the god of your choice in the temple to gain his favor and take advantage of his divine powers. Build up a strong army by recruiting land and naval units, and have your god summon mythical units like the Hydras, Pegasus or Manticore. Increase your power by defeating any resistance and pressing more farming villages into your service. Expand your sphere of influence by establishing new cities or conquering the cities of other players. 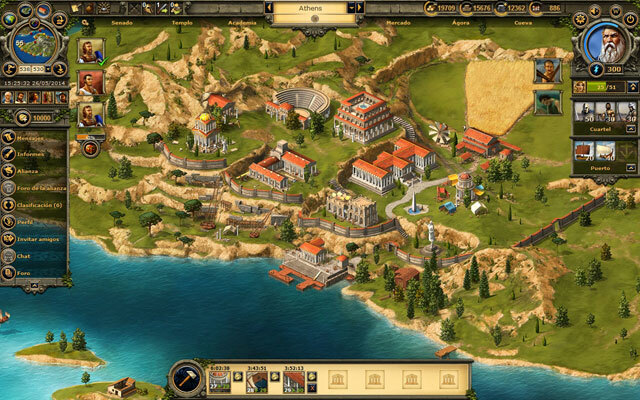 Expand your village into a metropolis in Ancient Greece! Gather resources to help your city grow! Many buildings and monumental structures to choose from! Earn the favor of the Gods!